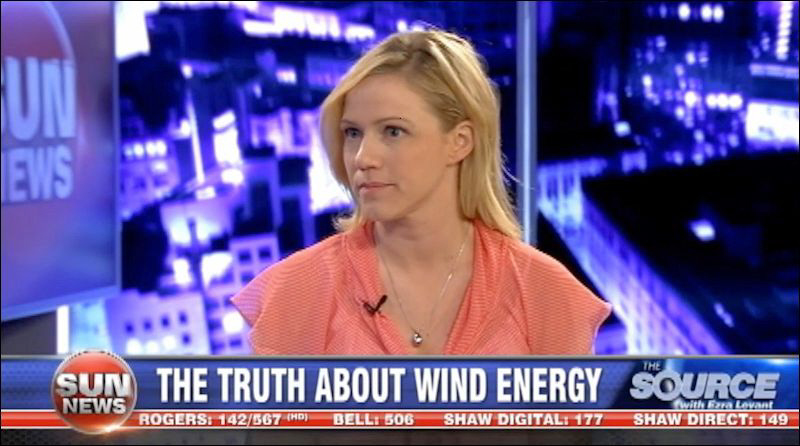 Rebecca Thompson is the brilliant young journo behind the recent Sun News documentary, Down Wind – that tipped a bucket on the great wind power fraud in Canada (see our post here). Down Wind, which runs for 96 minutes, can be purchased as a file and downloaded or as a DVD for those in the US and Canada (here’s the link). For those outside the US and Canada the file can be purchased and downloaded (using this link). If you’re in there fighting the great wind power fraud, Down Wind is essential viewing. For a detailed synopsis of Down Wind – see our post here. Rebecca is a stand-out not simply because she exhibits the proper temerity to challenge the lunacy of wind power and those behind the fraud (it’s what journalists are supposed to do), but because she has taken the time and trouble to understand every aspect of the most destructive government sanctioned rort of all time: be it the infantile pointlessness of throwing $billions at an intermittent and unreliable power source; spiralling power prices; the utterly flawed economics; the slaughter of thousands of birds and bats; and the harm caused to thousands of hard-working rural people through incessant turbine generated low-frequency noise and infrasound – Rebecca has a complete grip on the facts. It’s almost incredible what happens when journalists open their eyes, ears and minds – instead of knocking out endless streams of drivel from the wind industry and its highly paid spin-masters – readers and viewers are gifted with a real insight into the insane costs and non-existent benefits of wind power. It’s a pity there aren’t more journos like Rebecca. Alex Pierson: Well call it the latest David verses Goliath kind of fight – as an Ontario farming family begs the court to help them stop an enormous wind farm that’s going to go up in their farming town, just in a little tiny farming community called Goderich, which is about an hour outside of Toronto. Rebecca Thompson: So interestingly, Downwind, which is a documentary that Sun News network aired a couple months ago, that featured this family that is asking the Divisional Court in Ontario, the Ontario Divisional Court to review their appeal to not have this 140 wind turbine project put up. And essentially the Divisional Court has never – this would be precedent-setting – if in fact this family among other families who are part of this appeal would be able to win this on the grounds that this would cause problems for their health. So right now Health Canada, which is at the Federal level, is reviewing whether or not wind turbines cause health concerns. Given the fact that in Ontario the setbacks of wind turbines are only 500 feet. This is a concern because it’s too close to people’s homes. Alex Pierson: You did a lot of work of on this in your documentary, and I urge any of you who haven’t yet seen Downwind – watch it. I don’t care if you are living in the city of Toronto. I don’t care if you’re living in a big urban centre – watch it because until you’ve seen what Rebecca exposes you don’t really truly get an understanding. And you made some really a valid points in the documentary that – what absolutely confounds me is that there are so many questions about health issues that are being looked into, and nobody seems to know what the long-term implications are. But yet the province is forging full steam ahead building these things. Rebecca Thompson: The province is forging full steam ahead and they have indicated that there are no health concerns even though they haven’t done sufficient research into whether the or not there are health concerns. Look at places like Alberta. There are wind turbines set up, but they’re 2 miles away from anyone’s home. And in Ontario there was a theory that the reason why the wind turbines were admitted to be put up 500 foot away was because farms in Ontario are only an acre. So basically if the Ontario government can get away with putting wind turbines along a transmission line which is you know, a few turbines every other farm, then they could get away with a 500 foot setback. Rebecca Thompson: Sleeping, tinnitus, headaches, feeling faint, having stomach issues. There’s all sorts of issues. Alex Pierson: So why wouldn’t the Courts then be listening to this and saying well hold on we don’t have enough conclusive evidence to say that there are no health problems, we have to rule in favour, there is doubt? Rebecca Thompson: Well so far, the Provincial government has written its laws and its rules to be heavily in favour of the companies. And so essentially when any family, and there have been more than 20 appeals that have gone to Environmental review tribunals in Ontario, when any – and by the way these families they dip into their RSPs, they have to take it from their own small farming business, or whatever kind of businesses they have. They have to take it from the profits to pay for these appeals. Hire lawyers all the rest and they essentially lose the appeals because the Ontario government has written the regulations in a way where the wind turbine companies, often foreign companies, win time and time and again. Alex Pierson: But when it comes to the bigger picture because all I’m hearing right now is massive lawsuits. Maybe not tomorrow, but in the next 5 or 6 years, when Health Canada finally comes out and says yes there are long-term health implications. So does the Ontario government not want to look at the bigger picture? Rebecca Thompson: I don’t think they do. You know, I asked Kathleen Wynne, the Premier of Ontario point-blank will you put a moratorium on wind turbine projects that have not yet been built, given the fact that they’re causing endless amounts of communities serious concerns? Not only with health, but also property values. And also the fact that we pay through the nose for electricity now as a result of wind turbines, wind farms and wind power. And she said no we’re not going to put a stop to this. Essentially they’ve offered the opportunity for wind turbine companies, often foreign based, to come in and have a 20 year contract to provide a source of wind power which is often intermittent. So the issue with these farmers – and you know I went out for the documentary and had an opportunity to meet with a ton of families. Thinking, you know what are the health issues? Alex Pierson: What are they complaining about? Rebecca Thompson: And I spoke with doctors, I spoke with researchers and experts and what they indicated is that yes, when it comes to the average person, it does effects to them – not everybody is affected – but children are seriously affected. Senior citizens are affected. You know it’s a concern that has driven these families to actually get a lawyer to fight at Divisional Court for them. Alex Pierson: And I should point out one of the best lawyers in the country so I’m hoping that at least, under his guidance, they can get this seen – because I think it’s going to be one of these issues that ends up going to the Supreme Court and finally you’ll have someone ruling in on behalf of them. You know it was interesting over the weekend I was reading an article by a Mexican ecologist who has opened the door, he’s blown the whistle on the corruption, the lies and what he calls the incompetence of the wind industry. And he talked about a whole bunch of countries – whether it be the United States, Australia and Canada – talking about the massive environmental damage these windmills are creating. And he talks about – it doesn’t seem that the environmentalists care about the clear cutting, they don’t care about the birds, they don’t care about the bees, they don’t care about the environmental ecosystems that are destroyed by these stupid windmills. But they’re aren’t doing anything. They’re just all about optics and there are people behind-the-scenes making billions of dollars. So it’s such a hypocritical hype. Rebecca Thompson: Absolutely. You know what’s interesting is that these individuals – there’s a mass movement, not only in Ontario but across Canada to try to stop, to try to curtail wind power, or at least stop to research it before it goes up. And they reached out to a number of environmental groups. Specifically when it came to the mutilation of migratory birds by these wind turbine blades. Alex Pierson: Are they getting funding from someone? Rebecca Thompson: Well, they certainly rely on government funding. And essentially you have the Ontario government or the Canadian government or whoever offering these groups funding for in return they’re going to stay silent on these major issues. Alex Pierson: It’s such an incestuous industry. You know we make a big stink about birds flying into buildings within city centres. And we do all sorts of things to protect birds by asking people ‘turn off your lights’ or do whatever, don’t seem to care about the birds. Don’t seem to care about the bees. Rebecca Thompson: No, you know it’s interesting. Alex Pierson: Certainly don’t care about bats. Rebecca Thompson: They certainly don’t – and it’s the bats in fact, which are an endangered species in Ontario. You know, there’s evidence that in Northern Ontario, the bats that are an endangered species, could be obliterated as a result of wind turbines and you know maybe the Ministry of Natural Resources has stood by idly and said ‘Oh well’. Alex Pierson: So where is David Suzuki? Because I would think that this is something he should care about. Because he should know. I’m no scientist. I’m no bat expert. But I do know that when you take out one species from the ecosystem, you unbalance the whole infrastructure of it. So if you take out the bats, that means other birds and bugs and all the rest of it, it unbalances the systems, and you get big problems. Rebecca Thompson: Yes, and David Suzuki was out over few months ago saying what’s the big deal? Everybody should endorse wind power. You know this is the big question. It’s not only the environmental lies. It’s not only the major health concerns that right now are being researched and we don’t know the extent of the health problems. But it’s also the fact that our wallets and pocket books are being heavily hit because of the fact that electricity prices have gone through the roof. And I’m not just saying that. The Auditor General researched this. There have been countless studies researching and identifying the fact that wind power all around is just bad economics. Alex Pierson: I think the Green Energy Act, maybe not this year but in the next few years is going to be exposed as the biggest, biggest failure, fraud and sham that we’ve ever seen. So we’ll continue watching it. Rebecca Thompson joining us here this morning. Thank you Ma’am. It takes a real journalist to uncover one. The full documentary is available for free download from http://sunnewsnetwork.myshopify.com/a/downloads/-/93c5d5dbb79b940e/3408b6588357531c – it is highly recommended and well presented. The way I see it is that the ‘brains’ that push the wind turbine industry is have never thought through the whole thing about renewable energy in the grid, because they have to have coal or gas idling in the background inefficiently, waiting for when the crazy random intervals of fluctuating wind energy to fail, so it can come in and save the day. There are no CO2 savings with this model. Get wind off the grid. Make sure we only invest in reliable on demand power. After watching the documentary I was thrilled that a reporter had at last taken the time and energy to research the subject from many angles, and was willing to stand up and tell it like it is and I was equally glad a production company was willing to air it. This industry has wormed its way into the life line of our governments, a life line which is our representatives who are meant to look after our interests. They have been compromised and can no longer, or do not any longer want to speak on our behalf. The ‘Green’ flag was flown and they bowed and grovelled to it without first investigating if it is truly green or simply a cover hiding the true wealth of deceit, denial and destruction the industry was about to unleash on the world – and all for one thing – money. They had no intention of preventing environmental damage, reducing CO2 emissions, reducing the cost of energy, and had no desire or intention of ensuring the safety of human beings or creatures that are integral parts of a healthy environment. The life line is no longer secure except by some threads from those who still remember what they are there for – to represent the people not just industrialists with a desire to take over governments’ ability to regulate for the people. This industry has secreted itself into every aspect of our government, academia, media and human health bodies. It has done this without these apparent well educated people realising it. This is truly a worldwide attack. Taking it down will be a David and Goliath battle, but with people like Rebecca and others, the truth is seeping out and life lines are being strengthened, more research is being undertaken which shows the truth of what has been said – whether in areas of health, environmental and economic research people are coming out to fight against the deceit, denial and fraud. Let’s hope, without delay, the people – David, with the help of the life lines – will soon pull down this Goliath. Just a clarification on the above interview regarding Rebecca’s fine documentary work: setbacks in Ontario are 550 metres from homes – regardless of turbine size (the mix-up in measures may have been because the turbines themselves are 500 feet tall). Also many Ontario farms are 100 acres, not the 1 acre as noted above. These points are accurately stated in the Down Wind doc. The whole plan of using Wind Energy was a well thought out scam by a bunch who pushed forward an idea that was never able to work. 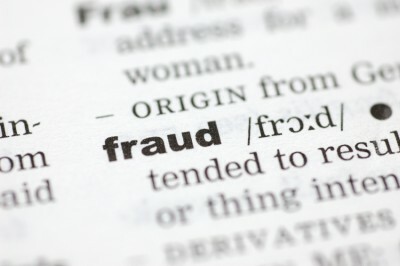 Once the people got caught in the scam, the public could not get the McGuinty government to stop. It was making money for the government, but not delivering the power that it was suppose to give and now has become a total waste of taxpayers money. This idea was a PIPE DREAM from the very start. Thank you Rebecca. At last the story is starting to unfold. This is the best doco I have seen to date on the issue. Australia should sit up and take notice as indeed should the rest of the world. This is a scam! In Scotland there are Hydro Electric power stations that sit waiting to sell their power to the grid only at times of peak demand and to the highest bidder. They could be providing base load power! And help prevent covering Scotland’s magnificent landscape in useless dangerous Wind Turbines. Where is the sense? It’s just money, money, money and outright greed! Saving the planet? I don’t think so.